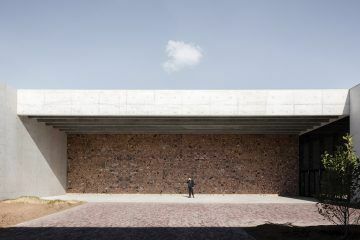 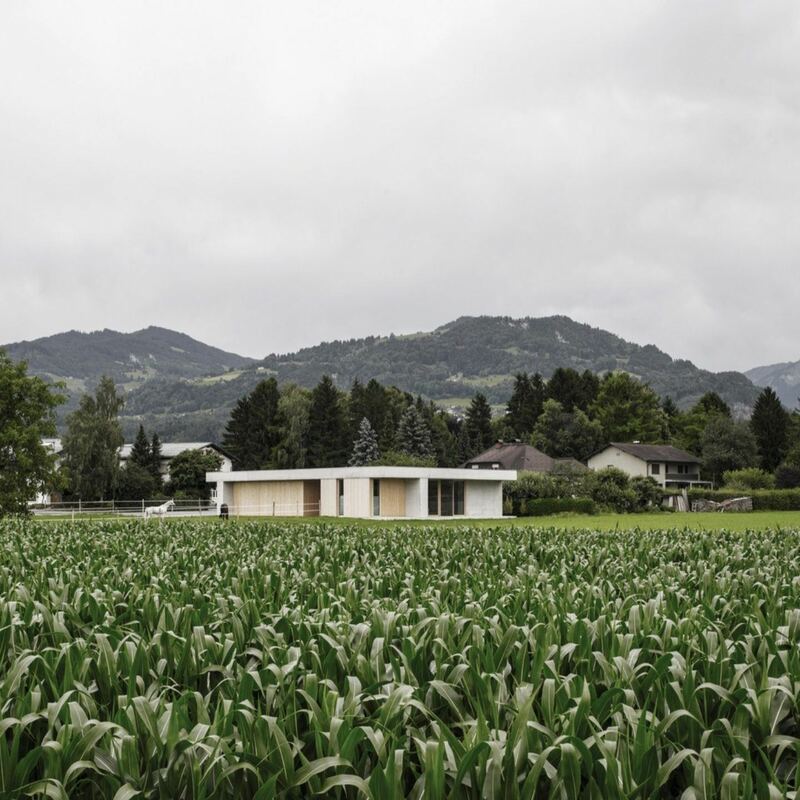 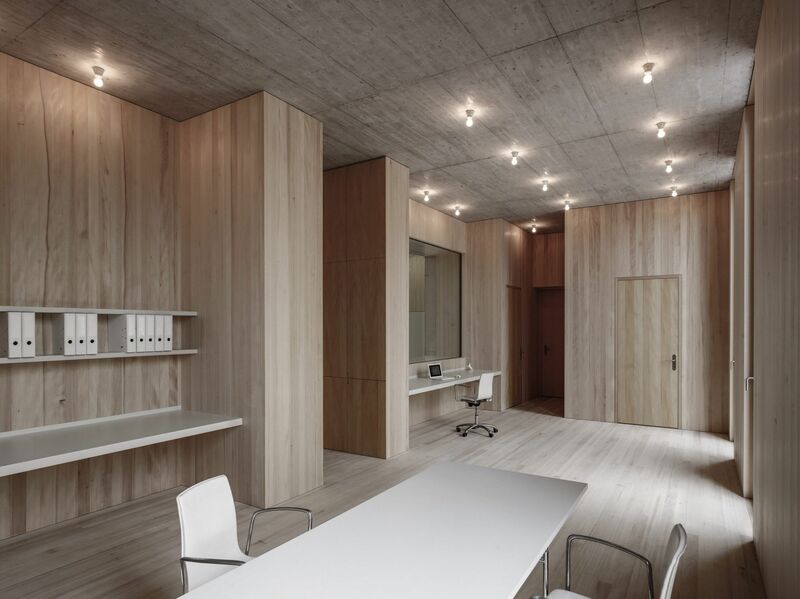 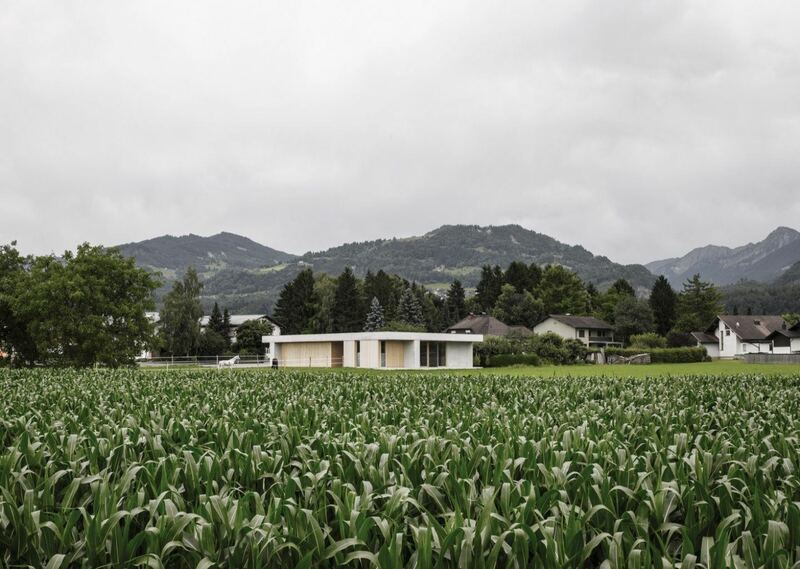 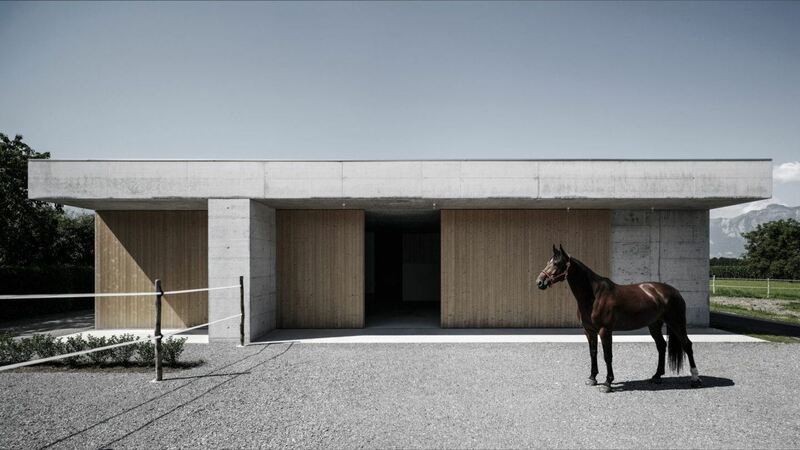 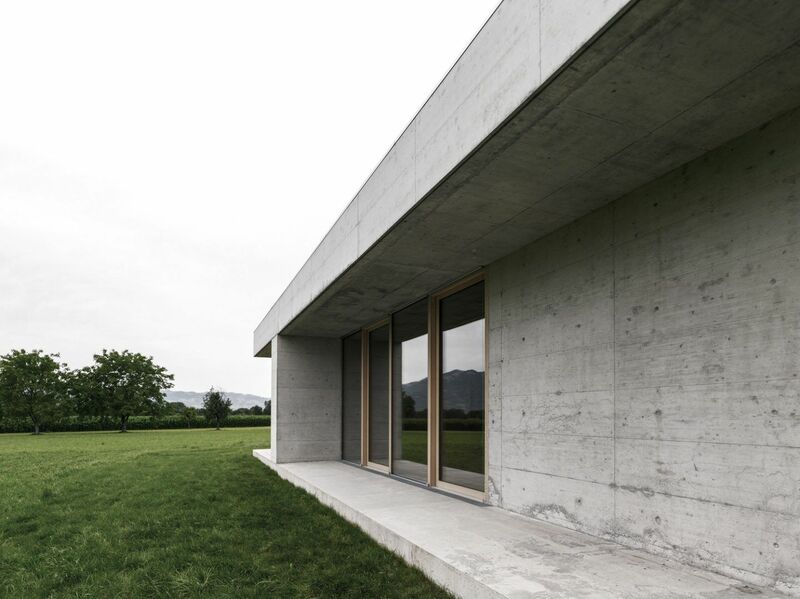 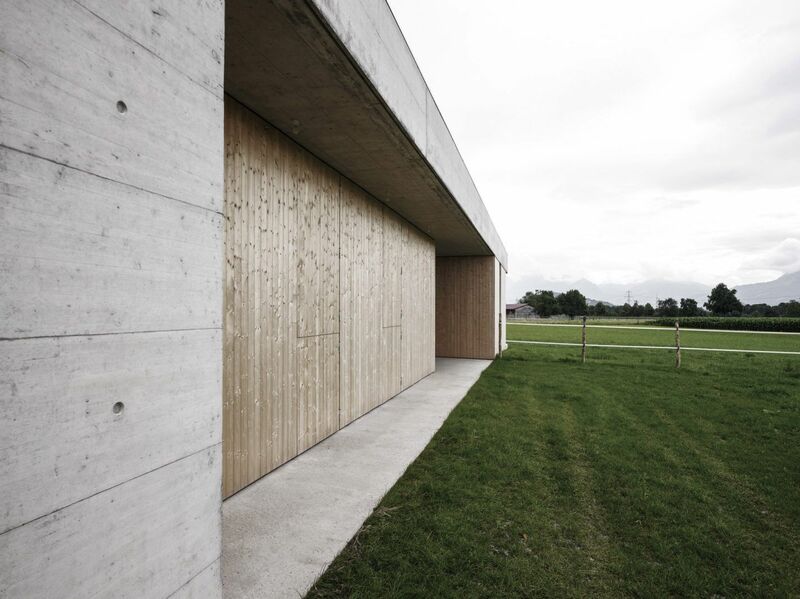 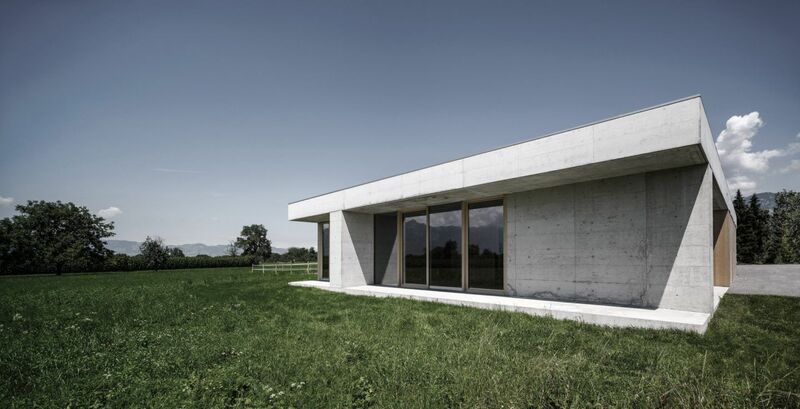 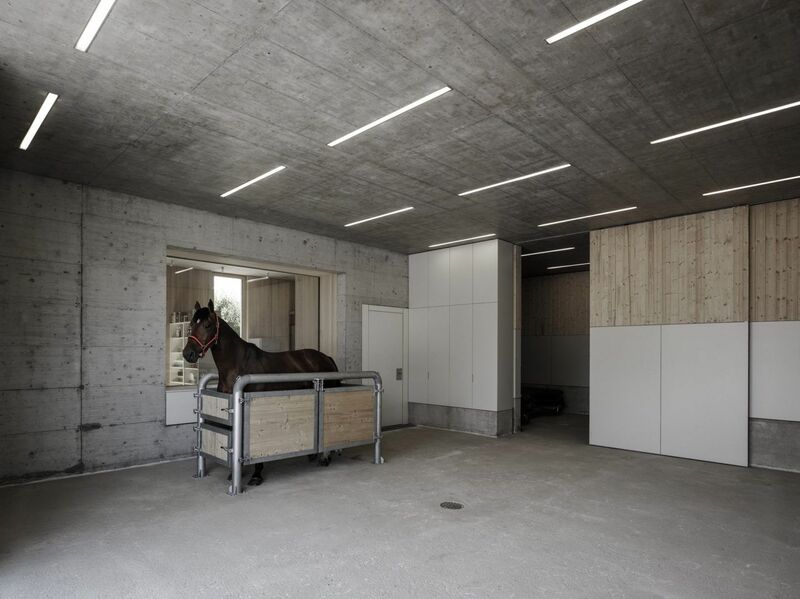 Between Rankweil in Austria and the Rhine Valley stands Feldkirch-based Marte.Marte Architects’ ‘Griss Equine Veterinary Practice’—a live-in clinic whose aesthetic appeal offers a reason to visit even without a horse in tow. 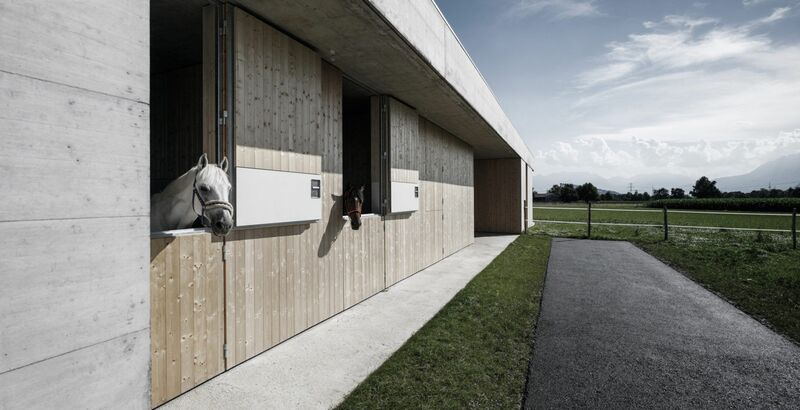 Serving as a veterinary practice and home, the space includes private living quarters—including a bathroom, kitchen and bedroom, along with an in-house pharmacy, treatment rooms, laboratories and all-important stables for equine guests who have need for longer stays. 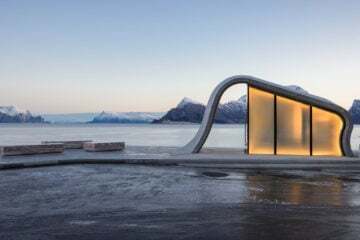 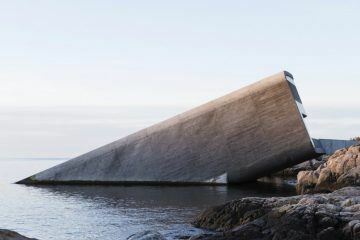 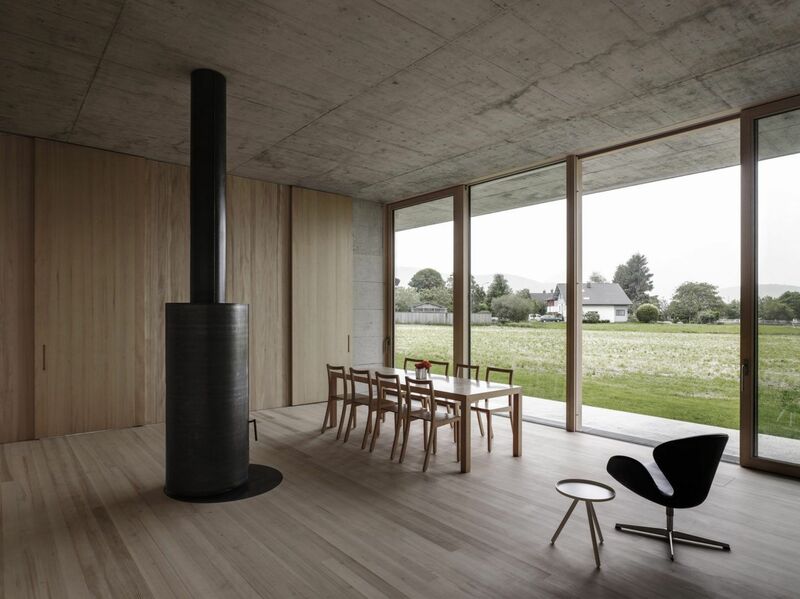 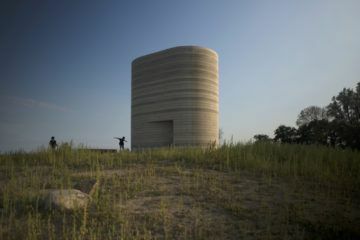 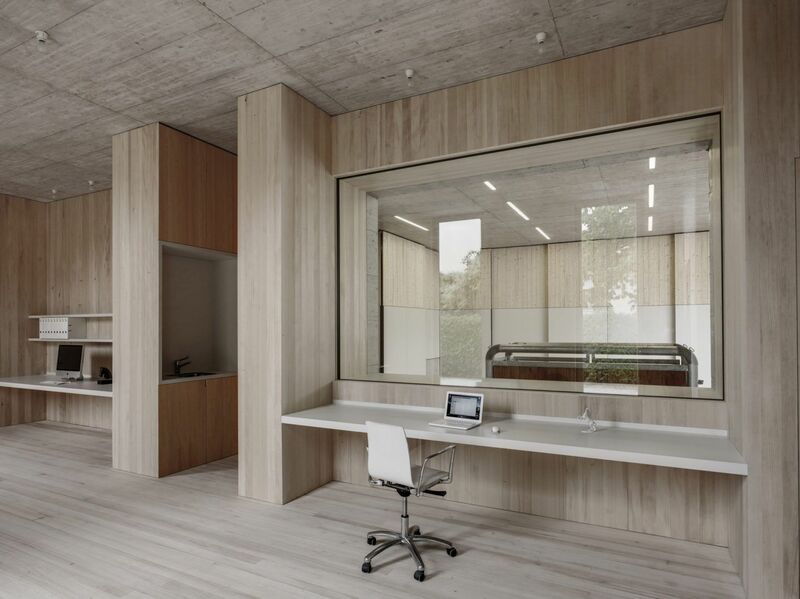 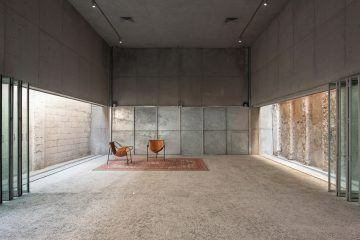 Joerg Stadler from Marte.Marte Architects explains that the design is intended to offer both private and public areas alongside one another, offering what he calls “a finely tuned interaction between work and life, a place of bustle and wellness, both functional and comfy”. 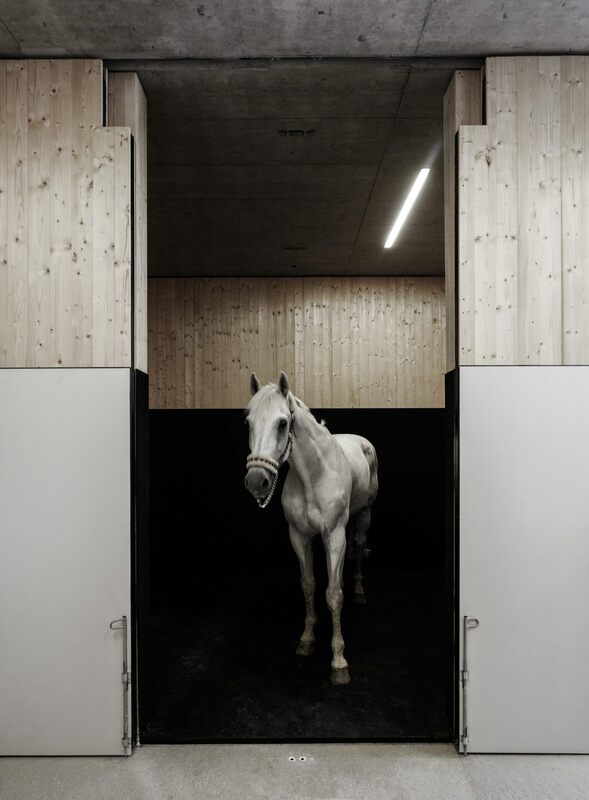 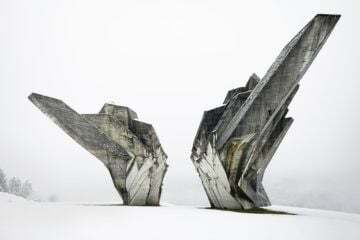 Built from reinforced concrete and untreated wood, the veterinary practice seems at ease in its surroundings but definitely doesn’t attempt to mimic local vernacular in its form. 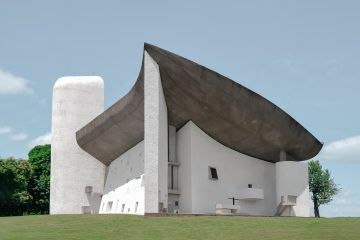 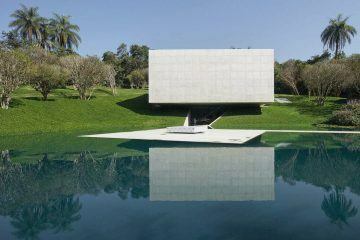 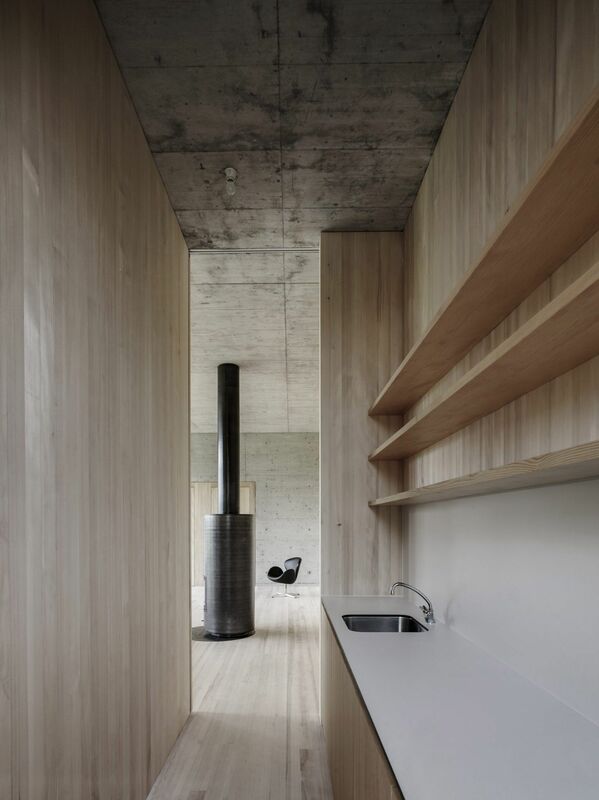 Both the interior and exterior are decorated minimally, with silver birch softening the coldness of the concrete.